One page. One lesson. One focus. Everything you look for in an English course, made simple. Key features Perfectly simple: each lesson is just one page, needing no teaching preparation - simply 'pick up and teach'. Distinct language points in short chunks: 80 lessons cover either vocabulary, grammar, skills, or functional language, each with an interactive catch-up lesson on the MultiROM. Visual presentation: dialogues, stories, and picture-dictionary style vocabulary makes new language easy to understand and remember. 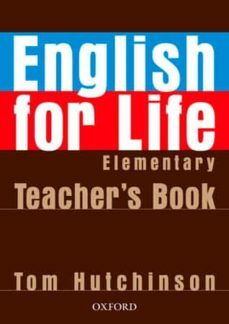 'Real life' focus: 'English for Everyday Life' lessons, 'English in the World cultural feature, and a 'Your life' personalization opportunity in every lesson. 'That's life' story: regular episodes provide language review in a real life context. Everything in one place for the teacher: an interleaved Teacher's Book with facing-page lesson guide, an extra photocopiable activity per lesson, plus a customizable test CD.